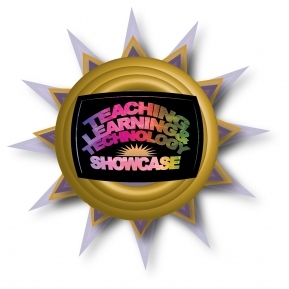 K-State’s free Teaching, Learning, and Technology Showcase is 10 a.m.-1:30 p.m. Tuesday, March 13, in the K-State Student Union Ballroom. All faculty, staff, and administrators are welcome to attend. Pre-register at ksushowcase.wordpress.com/registration. This is a Q&A with Debra Sellers, associate professor and extension specialist, School of Family Studies and Human Services. The Brain Injury Association of America (BIAA) defines TBI as “an alteration in brain function, or other evidence of brain pathology, caused by an external force.” A way to think about this is in terms of something away from the body or not part of the body that hurts the brain. There are two key types: one is a bump, blow, or jolt to the head, and the second type is a penetrating injury. How did you get involved in your work with TBI survivors? How did this project get its start at Kansas State University? Adobe will be on campus to staff a booth at the Teaching, Learning, and Technology Showcase on Tuesday, March 13 — and the company will also provide a workshop 2-4 p.m. that day on topics of interest to K-State employees. Adobe would like to meet your needs with regards to training on Adobe products. The workshop will address topics of YOUR choosing, and the majority responses will rule. Send your topics and suggestions to Cathy Rodriguez, cathyr@k-state.edu, as soon as possible. The Teaching, Learning, and Technology Showcase for K-State faculty/staff, 10 a.m.-1 p.m. Tuesday, March 1, in the K-State Student Union Ballroom will include product demonstrations by Cytek, Dell, Microsoft, Turning Technologies and the K-State Union Computer Store. Prize drawings from those vendors will be held throughout the showcase (see the schedule of drawings in this article). In addition, a Varney’s gift card will be given to the first 200 faculty/staff who enter the ballroom. Faculty/staff shouldn’t miss this opportunity to learn from more than 25 faculty presenters on favorite technology tools and resources. Register online to reserve your spot for the showcase and free lunch. For details about the event, see the Teaching, Learning, and Technology Showcase blog.